There is something sensual about food. 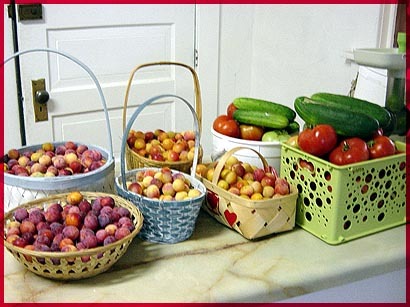 Late summer and early fall brings the apples, plums, berries, and garden vegetables. We were meant to look long, breathe deep, taste and smell the harvest. You are currently browsing the The Blueberry Tales weblog archives for August 2008.